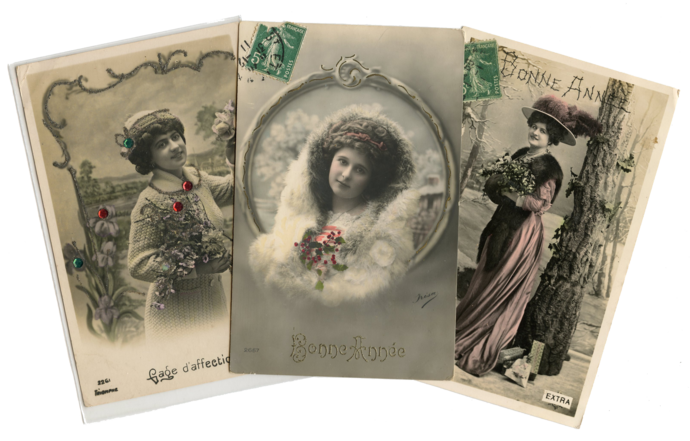 This trio of antique French postcards reminds me of gray winter days with a touch of holiday color. 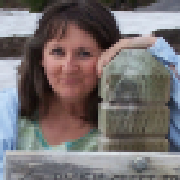 I think the card with glitter and sequins may actually be heralding spring, but her thick sweater dress and the green and red accents remind me of Christmas! All three are real photos and have been colorized by hand. The card of the woman in fur inside the medallion also has hand-applied gold metallic accents around the frame. Some signs of age but enough beauty in these cards to last another century! Please look at the scans closely. IF you have any questions, feel free to send me a message! All cards are approximately 3.5 by 5.5 inches.